We will be measuring these savings in terms of Carbon/Energy (C02), Land area (m sq) and Water (L). 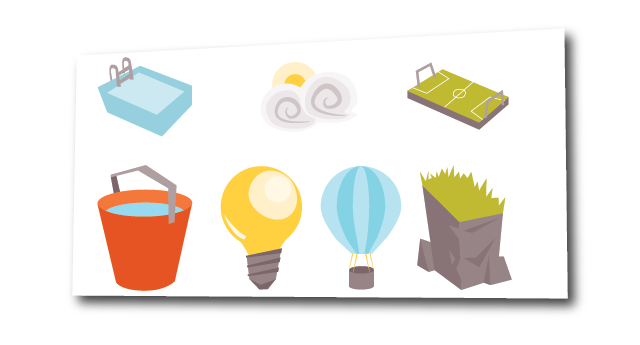 In order for these savings to resonate with our players, their savings will be represented in terms of the number of objects just as hot air balloons, swimming pools, barrels of oil and soccer fields they have saved. We will be measuring the savings for individual players and as the Habitat community. Over time we hope that the savings they make as a community will be impressive and kids will be able to see what they can achieve when they work together as a unit. Dr Chris Dey (Senior Research Fellow in the Integrated Sustainability Analysis (ISA) team in the School of Physics at the University of Sydney) talked to us about the research they are undertaking at the ISA and how they measure footprints. In the publication below the team at ISA have recorded imports and trade for 187 countries, over 20 years, for 15,000 different industries. Remarkably this data allows them to show the impact individual product purchases have on life cycles in other countries and on different species. 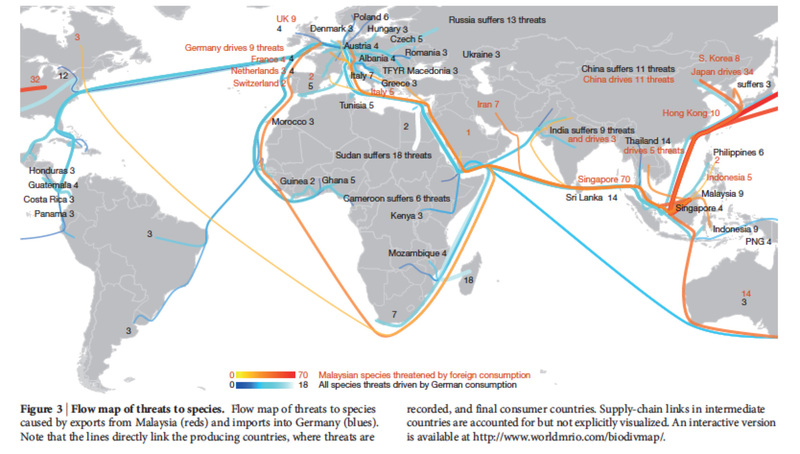 The diagram above shows the threat to species caused by exports from Malaysia and imports to Germany. Chris and his team are adapting this incredibly detailed research to provide the analysis of kid’s footprints measuring impacts in terms of land, carbon, water and energy. We chatted to the WCS about animals whose habitats were threatened due to climate change. 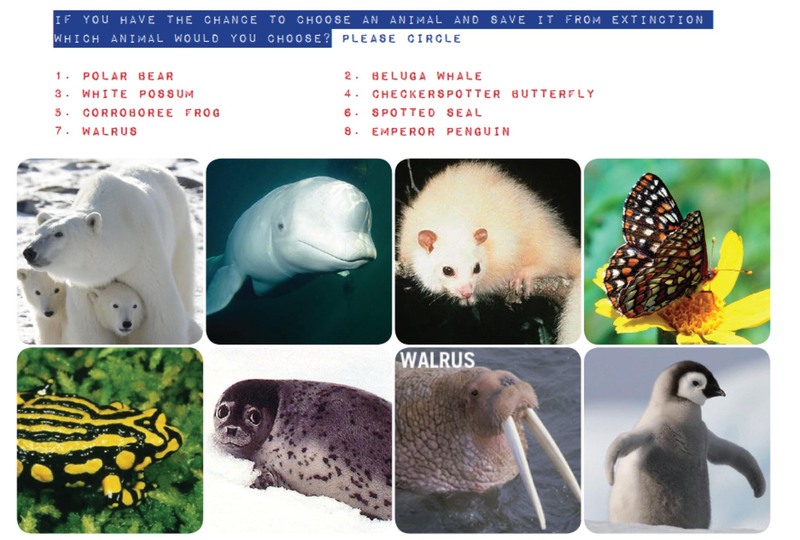 We were keen to learn which of these animals the kids would like to see go into the game as the first animal. We gave them a number of choices large and small. The Polar Bear was the winner with 30% of the vote. 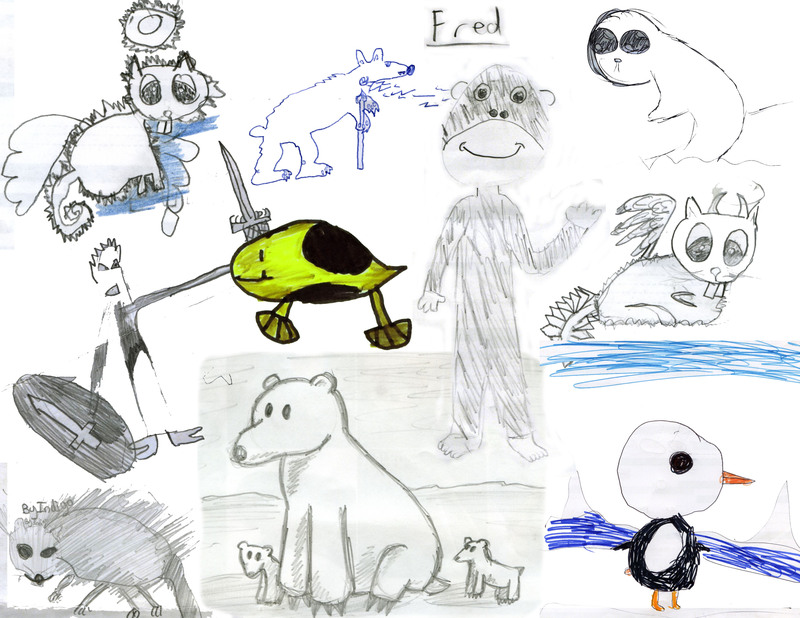 The kids also drew pictures of what their virtual animals would look like. The team at Sydney University’s CoCo were kind enough to host our first team meeting in their interactive room. The learnings from the day will be used in CoCo’s research and our team had the chance to dig down into the mechanics of the game. It was an inspiring gathering. We were able to take full advantage of the interactive room by drawing on the walls, sharing designs and game flow charts. We also used the tech to phone in Erin from the States!